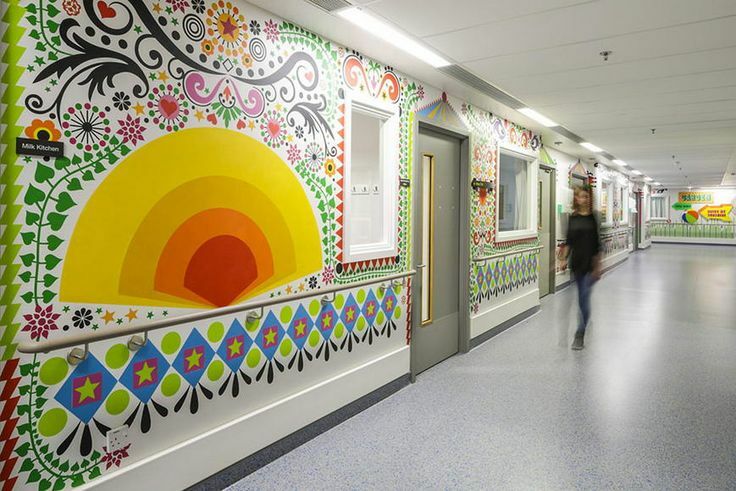 According to Penn State College of Medicine researchers, patients' perceptions of the hospital they're being treated in may be improved by artwork. This could be a low-cost way to help improve patient satisfaction. "It is relevant to hospital administrators who are under increasing pressure to improve care quality and the patient experience. People often find medical environments stark and uninviting, and artwork is a way to humanize hospital rooms and perhaps make them feel warmer, more inviting, and less 'medical," said Daniel George, associate professor of medical humanities. Cleveland Clinic emailed former patients, inviting them to respond to a survey about the health system’s art program. Out of the more than 1,000 respondents that had visited Cleveland Clinic within the previous 12 months, 826 (76 percent) remembered noticing the art collection. 73 percent said it somewhat or significantly improved their mood. Results were even higher among the subset of respondents treated for breast cancer (78 percent), generalized anxiety (81 percent) and post-traumatic stress disorder (PTSD) (84 percent). Results also were higher the longer the hospital stay. For example, 91 percent of two- and three-day visitors reported that the art improved their mood. 61 percent said it somewhat or significantly reduced their stress. Results were even higher among the subset of respondents treated for cancer (65 percent), generalized anxiety (69 percent) and PTSD (81 percent) — as well as among the subset of two- and three-day visitors (72 percent). 39 percent said it somewhat or significantly improved their comfort or pain level. Results were even higher among the subset of respondents treated for cancer (43 percent), osteoarthritis (47 percent), generalized anxiety (49 percent) and PTSD (54 percent). 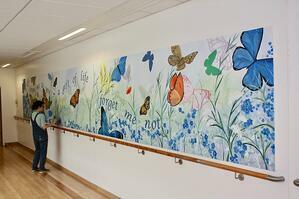 According to research done by Stine Maria Louring Nielsen and professor Michael Finbarr Mullins of Aalborg University in Denmark, patients noted that the mere presence of the artworks inspired confidence that the hospital was well cared-for, leading them to expect a high level of care while staying there. Arts in Medicine is a national and international program that brings healing arts into healthcare systems. One of the oldest programs is at Duke University, said visiting artist Elizabeth Garlington, which made bringing the program to Haywood, a Duke LifePoint hospital, a logical extension. Garlington noted the images were beneficial to Nurses as well. "In handling patients this sick, there is compassion fatigue for the Nurses who are dealing with trauma every day," she said. "That's why we choose healing images, water, nature and scenes in Western North Carolina to bring a calmness." Susan Mahoney, the Chief Nursing Officer at Haywood Regional Medical Center, said "This has been a minimal investment with a big impact." 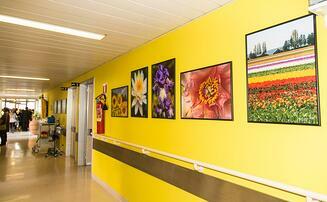 Artwork in hospitals can be extremely beneficial in many ways. We hope to see more art programs and hospitals teaming up in the future to provide a more therapeutic environment for patients. What is your work environment like? Is there uplifting artwork where you work? If so, please share!